Eye On The World: Europe admits that with the UK leaving there will be a huge shortfall in cash to throw away. 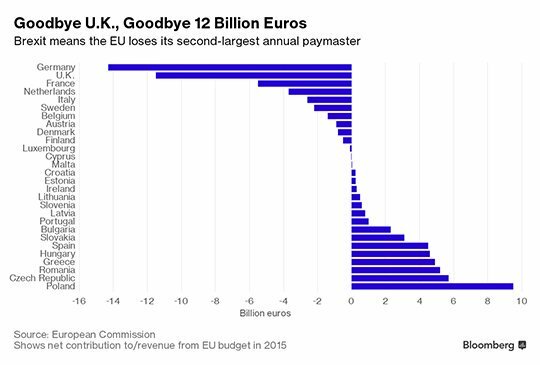 Europe admits that with the UK leaving there will be a huge shortfall in cash to throw away. As I mentioned before I have always been pro-Europe. But it really does need to change. Hopefully with the Uk leaving that will now happen. Shame they couldn't bother their arse to do so when the British asked them time and time and time again.